How we treat depression in the future may be set to change as the NHS begins an unprecedented two year study using transcranial magnetic stimulation (TMS). 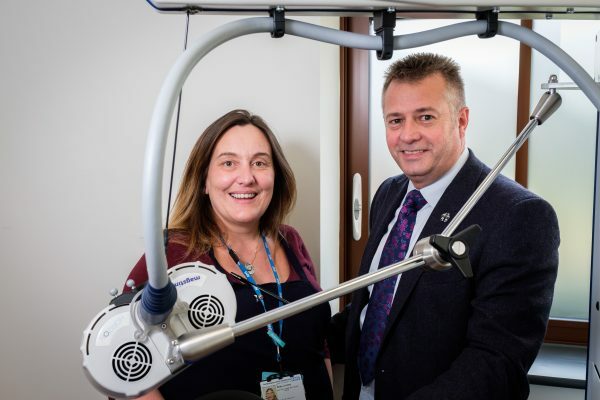 The £2m study of 420 patients is the largest of its kind and will use therapy systems provided by Magstim, the pioneer of TMS, which is a safe, proven and non-invasive outpatient therapy developed over 25 years ago. In patients with depression, electrical activity in certain areas of the brain is reduced. Magstim TMS therapy uses a series of repetitive, brief and highly focused magnetic pulses to stimulate brain cells. The Magstim Horizon Performance system being used in the study, uses a focused electromagnetic coil to rapidly pulse a magnetic field to the targeted area of the brain. This induces a small electrical current which stimulates the targeted brain cells into activity, increasing brain activity back to a normal level. TMS, which has few of the known adverse effects associated with medication or invasive treatments, is accredited by NICE (National Institute for Health and Care Excellence) and is increasingly being used by practitioners in cases of treatment resistant depression (TRD) where antidepressant medication is proving ineffective and before invasive treatments like Electroconvulsive Therapy (ECT) are considered. Four NHS Trusts are taking part in the new study, which will look at how targeting individually identified areas of under activity in patient’s brain with theta burst TMS affects efficiency and long-term remission. 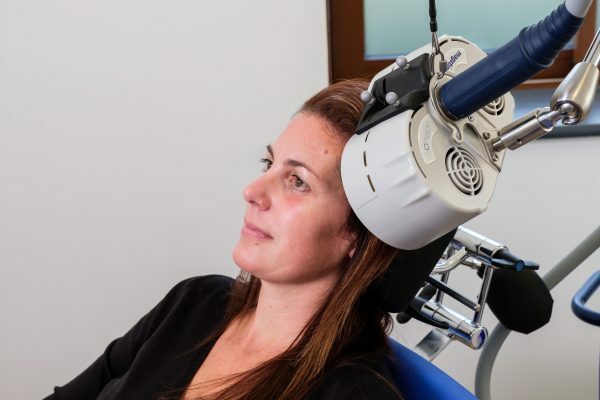 Currently, in the US, the FDA has issued Magstim 510(k) clearance for delivering TMS to patients, focusing on the same, specific area of the brain (the left-side dorsolateral prefrontal cortex) for a 19 – 37.5 minute session at 10Hz. The new study will involve carrying out an fMRI (functional magnetic resonance imaging) scan of each patients’ brain to pinpoint their exact area of reduced activity, which can vary by patient, prior to treatment. Half of the participants will then have a ‘personalised’ therapy session, targeting the exact area of their brain identified as being under active, using theta burst TMS – a newer form of TMS that can be delivered in as little as three minutes, versus 37.5 minutes for a standard 10 Hz TMS treatment session. The other half will have a standard TMS therapy session as per the current FDA protocol. The groups will not be aware which treatment they are receiving as each session will appear to last 37.5 minutes. The study hopes to establish whether a personalised approach to treatment using theta burst TMS offers greater remission rates and longer lasting effects, compared to the current TMS protocol. Northampton’s Berrywood Hospital, Newcastle’s St Nicholas’s Hospital, Nottinghamshire’s Millbrook Mental Health Unit at Queen Medical Centre and St Pancras Hospital in London are all currently recruiting patients for the study, which will roll out between November 2018 and January 2019. Participants of the study will not have previously had ECT. Professor of Psychiatry at the University of Nottingham Richard Morriss, involved in the study, said: “Treatment resistant depression is a devastating condition associated with premature death from suicide or poor physical health and an impaired ability to work. We have had a limited degree of success with talking therapies and antidepressant drugs. Now we have a safe third option using stimulation by magnets called transcranial magnetic stimulation (TMS). Abby Lovesy, NHFT Ward Matron (left) and Derin Rose, Magstim representative (right), following installation of a Horizon Performance TMS therapy system. As awareness of the treatment grows amongst patients and professionals, TMS is proving to be a popular, and very successful, therapy in the UK, particularly in the private healthcare market. Please direct media enquiries to Jo Wallace at Yogi on 02920 460 234 or jo.wallace@yogicomms.uk.